Canmore, Alberta is a beautiful Rocky Mountain destination that gives couples the perfect escape for their special day. With some of the most scenic venues in the region, Canmore is a picturesque spot to exchange “I dos” and take in the natural beauty of the mountains. At Cornerstone Weddings, we are proud to offer couples access to two of the most popular venues in the area, as well as our in-house team of coordination experts. 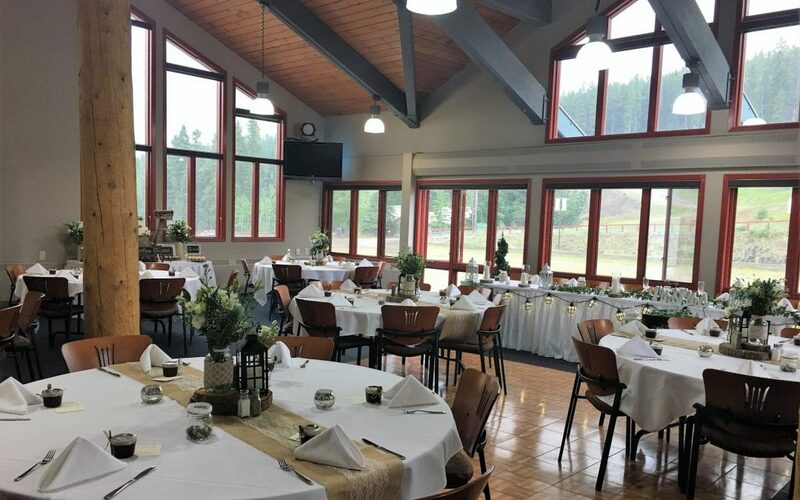 Learn more about one of our standout locations, The Canmore Nordic Centre as well as weddings and receptions with Cornerstone below! For sports fans or those who love historic venues, the Canmore Nordic Centre is a location that is sure to delight. Constructed for the 1988 Calgary Winter Olympics, the Nordic Centre is situated in the middle of Provincial Park that has become a well used hub for cross country skiing, mountain and fat biking, biathlon events and more! With indoor and outdoor ceremony options available, couples can enjoy the beauty of the area with ease. 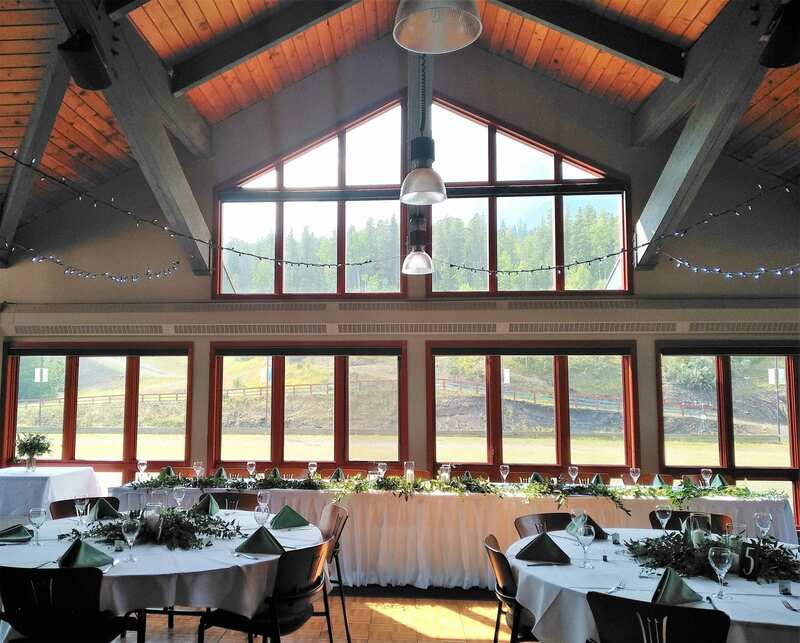 Cornerstone Weddings has been the provider of choice for since 2017, and is excited to continue our partnership with the Canmore Nordic Centre into the 2019-2020 season. One of the most appealing features of the Canmore Nordic Centre are the stunning floor to ceiling windows. For those wanting to exchange vows against a mountain backdrop, but prefer the comfort of keeping things indoors (after all, weather in the Rockies can be fickle), the banquet room grants breathtaking panoramas of the great outdoors. With bookings available year-round, couples can enjoy the seasonal beauty of the area and wow guests ranging from 80 (for weddings) to 150 (receptions) with scenic views they’re sure to remember. 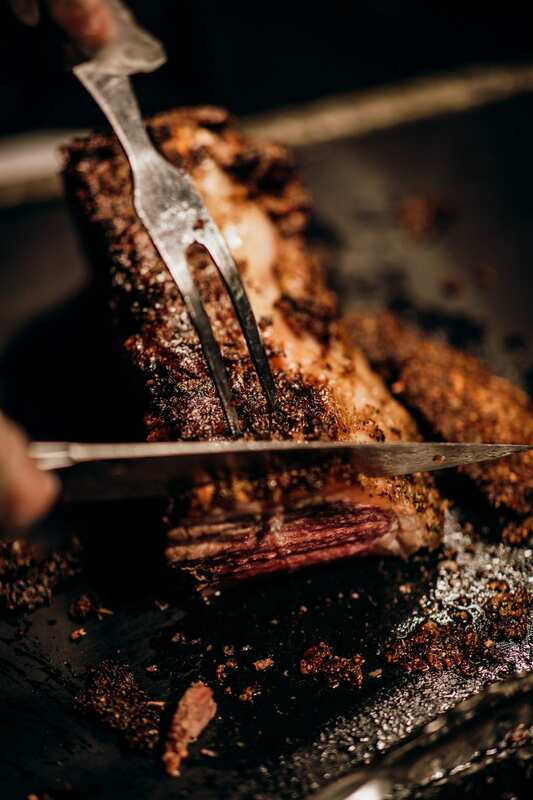 As the onsite caterer, Cornerstone Catering gives couples access to mouthwatering menus featuring plenty of favourites! With fun add-ons like s’mores bars, candy bars, and more available to add a special flair to your big day, you and your guests can enjoy a delicious meal that will help fuel your celebrations! Our years of expertise in the Canmore wedding scene means we know just how much work goes into organizing your big day. Cornerstone Weddings’ team of coordinators work closely with couples to help arrange the finishing touches of your big day, including set up and tear down of the venue. Learn more about our exclusive coordination assistance by contacting our team directly. Ready to book your dream Rocky Mountain wedding and reception? Contact us today to get started!